All child care centres do valuable things, but not many can say they have single-handedly prevented a community from becoming disempowered for 14 years. The Clare Valley Children's Centre started-up 14 years to give local mums some options. One of the oldest wine regions in Australia, the Clare Valley is located approximately two hours north of Adelaide. The town of Clare has a population nudging 3,500. “Before us, there wasn’t any child care, and people would have to travel to another town, or stay at home with their children," explains Centre Director, Amanda Narroway. “What this means is that the majority of our mums [in the area] are now able to work, while others study, and a few come for respite. Listening to Amanda speak, it’s clear that she and her team have a passion for their local community that goes far beyond simply providing a service. “We’ve been open for around 14 years and everyone is just part of a big family,” she said. “All of our parents get the chance to know the staff well, to have a chat and to feel secure. “We now have other child care places in the area, but we are the only not for profit. All of the money we raise goes back into the centre, and I think parents like this." 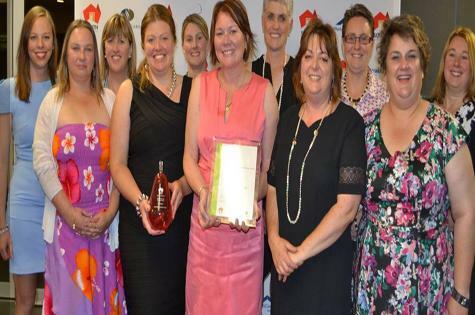 Amanda and her staff were recently recognised for their work in helping build their local community with a Brand South Australia Education Award sponsored by Flinders University. She says that winning the award and being recognised for their efforts locally and throughout the state has inspired the staff at the centre to work even harder. “We were extremely proud to win. It was great for morale, and it will just make us want to learn more about early childhood development and best practice models of child care. "We don't want families and children disadvantaged, or to have no options, simply because they live in a rural area."